Chuck Frederick, RPh, is a Senior Consultant in Healthcare IT and Services specializing in EHRs and ePrescribing. 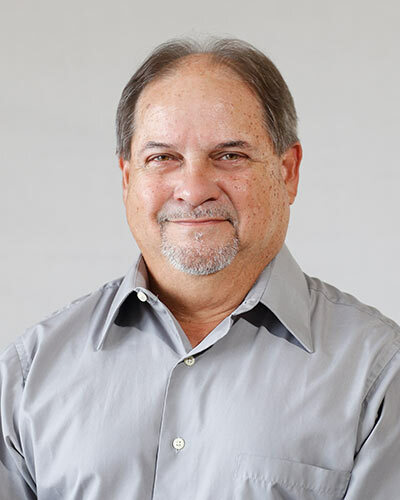 With a background in pharmacy, Chuck has more than 30 years’ experience in healthcare and has been working in the EHR sector since 1998 where he has led several Product Management teams in designing and implementing industry leading EHR and ePrescribing products. Chuck currently provides expertise to Point-of-Care Partner clients around current real world EHR and ePrescribing capabilities as well as future trends and potential enhancements. With his extensive experience with provider workflow requirements and his background in pharmacy, he brings a unique perspective to the overall workflow and interactions in the EHR market. Prior to joining Point-of-Care-Partners, Chuck was Executive VP over the Product Management and Clinical Content departments at e-MDs and was responsible for two EHR products consisting of the Clinical Encounter (charting), ePrescribing, Interface, Clinical Decision Support, Document Management, OB and Orders Management modules as well as two Practice Management products. In addition to leading the design and implementation of these products, Chuck oversaw three CCHIT certifications as well as three ONC certifications for Meaningful Use Stage 1 and Stage 2. Chuck has been a member of NCPDP and HIMSS since 2000 and served on the CCHIT ePrescribing workgroup in 2010 and as a member of the Surescripts Provider Vendor Advisory Council for several years.